Skrill, which was formally known as Moneybookers, is one of Europe’s most reliable and safest payment methods. 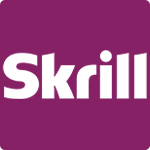 Skrill is a digital wallet provider and has over 20 million satisfied customers to date. Skrill are trusted all over the world by big brand name companies as well as individual wallet holders; eBay and Playfish are just a couple of online brands that support this form of payment. Given this information it makes good sense to use a digital wallet such as this for playing at your favorite online casino as all information is kept in one secure and user friendly account. The benefits of paying for your online casino game playing using a digital wallet such as Skrill is that only Skrill will keep your financial and personal details, giving you much more security and reducing any type of fraud that may occur over the internet. The next great advantage of paying this way is that your money will be on your online casino account there and then so you can play your favorite slot in next to no time. It is also accessible all over the world, so even on holiday should you fancy playing your favorite Tiki Wonders slot you can simply log on and deposit safely and securely through Skrill. Skrill also offer a pre-paid Master card, which you can use to put money into your casino bank account to play at a poker tournament perhaps or whatever is your preference. This card can also be used elsewhere and you can even withdraw money from the ATM at a charge of 1.80 euros. This card can be cancelled with no fee and balance fully withdrawn as you need. The pre-paid Master card also gives you a complete history so that you can track what online casino you spent your pennies at or what slot machine was your lucky charm. How do I sign up for a digital wallet to use at online casinos? Signing up for a Skrill digital wallet is simple and non-invasive, there is absolutely no credit checks run and it is available to every individual above the legal requirement age of 18 living in the EU. So getting your e-wallet is as simple as signing up to the online casino of your choice – in fact even easier! Once you have created the e-wallet which requires no minimum top-up and 0 commitments or hidden fees you are free to log on to your casino and get spinning that roulette wheel safe in the knowledge that your financial details are safe in the vaults of Skrill. Skrill have also recently launched Skrill 1 – Tap, this enables you to add money to your account via 1 simple touch of your smart phone. All you need to do is make your first deposit to your online casino player account using Skrill then the option to activate Skrill 1 –Tap for future deposits will be enabled should you wish. This will give you the opportunity to just have to click once to make your next deposit or withdrawal at the same online casino provider. Skrill are not stopping there though, they are also releasing a further extension to its already impressive digital wallet service. You will soon also be able to process credit cards directly through mobile devices. All you will need to play your favorite scratch cards will be a mobile app on your phone. If playing at online casinos is your favorite pass time you cannot go wrong with Skrill, the option that enables you to deposit and play within a few minutes. They are constantly finding newer and better ways to make your whole online payment method experience more comfortable and easy and scam free. Good luck with all your online casino playing.